In a land as vast and diverse as ours, motoring has been a big part of the Australian psyche and cultural landscape for decades. Although initially we were a little slower to adapt cars into mainstream society than the USA, it’s safe to say that most of us Aussies certainly couldn’t live without our cars these days! Introducing: The John Hughes History of Australian Motoring, part 1 of 3. 1857 – Englishman James Alexander Holden opens his saddle and leather goods business in Adelaide. 1897– Harry A. Tarrant produces his first car, called the Tarrant. It was probably the first petrol-driven car manufactured in Australia. 1903 – The Australian Motoring Association is formed in New South Wales, South Australia and Victoria to protect the interests of pioneer motorists. 1915 – The Ford Model T is officially launched in Australia. 1917 – The Australian Government imposes the Luxuries Restriction bill, which restricts the import of things like perfumes, furs, eggs, beers, ales and bodies for motor vehicles. This prompts the Holden family to set up Holden’s Motor Body Builders to manufacture their own car bodies. 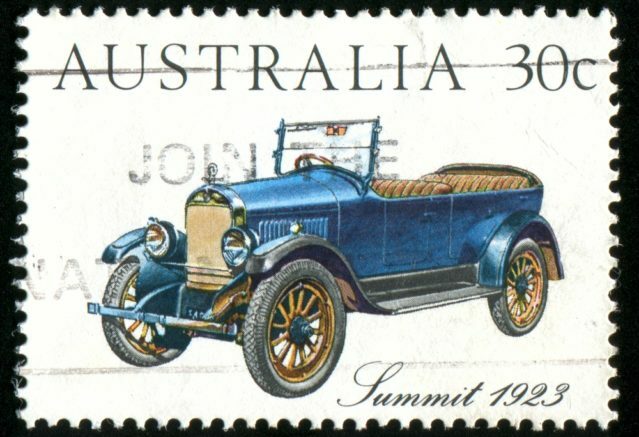 1924 – The Australian Automobile Association is formed in Canberra. 1927 – One in every four Australian families now owns a car. 1928 – The first ever Australian Grand Prix, the oldest surviving motor racing competition held in Australia, is first run at Phillip Island. The inaugural race is won by Arthur Waite. 1931 -General Motors takes over Holden’s Motor Body Builders. 1936 – Holden, now owned by General Motors, builds its first full-scale car factory in Fisherman’s Bend, Melbourne. 1948 – Prime Minister Ben Chifley unveils the first Holden car ever, the 48-215 on 29 November. Stay tuned for part 2 of our History of Australian Motoring! What other milestones and important events can you think of in Australian motoring history before 1950?